GTM Payroll Services offers payroll solutions for businesses or families with domestic workers. In order to promote word-of-mouth marketing, the company has developed a client referral program that rewards those who refer their friends to the business. GTM wanted to boost the referral program to increase number of qualified leads. Chris Chariton, Senior Director of Marketing at GTM, was looking for a way to instantly reward referrers with a gift when they introduced others to the company. She knew that offering tangible and convenient gifts would encourage more clients to refer others, but she needed to find a way to make the process simple and automatic. 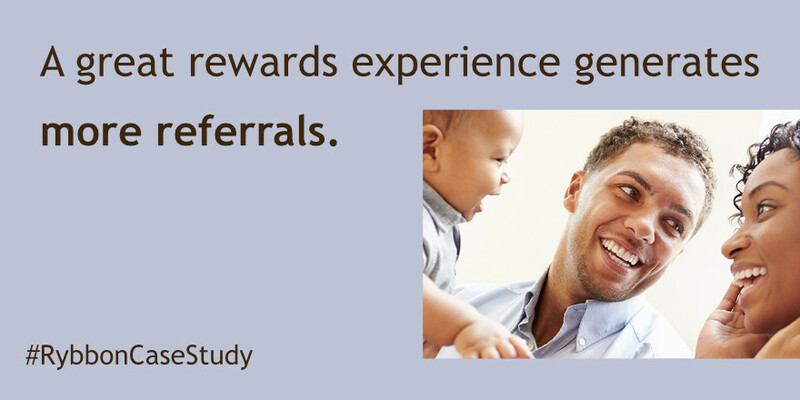 Chris decided to revamp the company’s client referral program to offer two rewards – a Panera e-gift card when the lead is recommended and a larger Amazon.com e-gift card when they make a purchase. GTM was already using Marketo as their marketing automation system and Chris wanted to find a service that could work with Marketo to deliver gifts without hassle. Chris decided to use Rybbon to instantly and conveniently deliver gifts by email to those who referred others to the company. Chris’s team created Marketo emails for each reward type and used Rybbon to add gifts to these emails. Next, they built Marketo workflows to capture the referral lead, track the referral progress and deliver reward emails at the appropriate time. It all happens automatically and there is no need for the marketing team to spend valuable time buying, sending and tracking gifts. Rybbon offered GTM Payroll an affordable solution to automate delivery of referral rewards. After introducing Rybbon to their client referral reward program, GTM Payroll Services saw a 29% increase in the number of referrals received. Currently, the referral program is a top source of qualified leads with higher than average conversion rates. Not only is the company receiving more leads from their current customers, but the automated process has improved the customer experience by making reward delivery fast and convenient. Marketo selected Chris Chariton to speak at Marketo Summit 2016 for her innovative use of referral marketing and marketing technology to drive measurable business results. See for yourself how you can give your marketing campaigns a lift with a demo of Rybbon. We’ll send you a cup of coffee, on us!